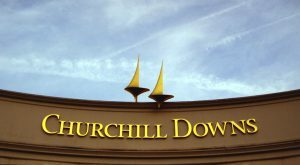 Churchill Downs Inc. announced on Thursday that it will launch a real-money online sports-betting-and-casino site in New Jersey. The new offering, to be called BetAmerica, will be launched in partnership with the Golden Nugget Casino Atlantic and operate under Golden Nugget’s existing online-gambling license. Churchill Downs is the parent company of the Kentucky Derby, and the company has been quite active in recent years in trying to find points of entry into the United States’ legalized online-gambling sphere, this despite Churchill Downs’ home state of Kentucky being one of the least friendly US jurisdictions toward online gambling in general, as evidenced by the state’s ridiculous claims against global online-poker giant PokerStars. Churchill Downs won’t have to worry about that as a NJ-only online offering, even if a similar offering in its own home state seems some years off. Churchill Downs, of course, has been able to offer horseraging wagering online for many years in a number of US states, horseracing being the single carveout that exists in the US’s Wire Act, enacted way back in 1978. Churchill Downs’ online horseracing offerings operate as TwinSpires and are available in multiple states. Churchill Downs also owns Pennsylvania’s Presque Isle Downs & Casino and has already announced its plans to offer online sports wagering and casino games in that state as well, depending on the outcome of the burgeoning fight over the DOJ’s Wire Act opinion reversal. There’s never been any doubt which side of the online-gambling legalization battle Churchill Downs has been on — and it’s not Sheldon Adelson’s. And, despite its own somewhat favored status as a prominent horseracing company, Churchill Downs has always wanted a broader market. The company even purchased a barely-solvent Bluff Media earlier this decade, hoping for a faster expansion in the legalized US online-poker sphere. You know the rest of that story: The hoped-for rapid online expansion in the US hat never happened, so Churchill Downs was forced to shut down that poker mag in 2015. 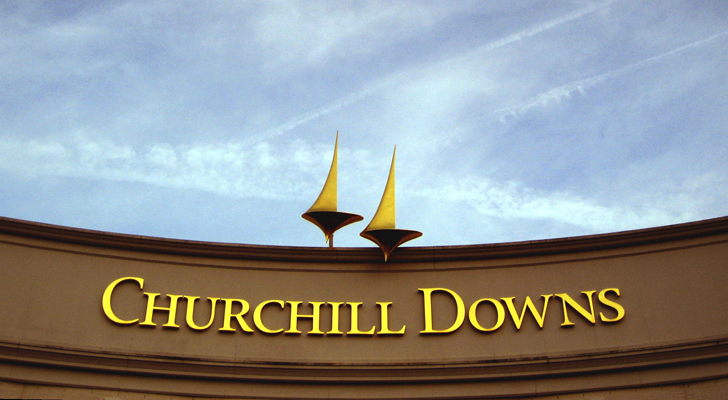 Nor is Churchill Downs a newbie when it comes to online casino offerings. The company has been a major player in free-to-play casino sites for several years under its Big Fish brand, and it was involved in that legal mess a year or so in the State of Washington over these free-to-play offerings being, well, not so free. Churchill Downs was one of several companies that blocked State of Washington users from its sites after that mess, though the US is a big place, and there’s still plenty of other state-sized markets in the company’s sites. Churchill Downs Incorporated (“CDI” or “the Company”) (Nasdaq: CHDN) announced today that it launched its BetAmerica online real-money sports betting and online casino platform in New Jersey through its partnership with Golden Nugget Casino.